Top 50 Sparkling Wines of the World. Our experts tasted through premium bubblies from around the Old and New World to bring you the best 50 available for 2017. Close on 100 sparkling wines were entered from diverse terroirs and countries such as: Argentina, Austria, Australia, Brazil, Chile, France, Italy, Portugal, Slovenia, South Africa and Spain. Diverse too were the grape varieties used to make top quality sparkling wines such as Alvarinho and Touriga Nacional from Portugal, Glera, Trebbiano & Sangiovese from Italy, Macabeo, Perellada & Xarel.lo from Spain as well as the classic Champagne varieties based on Chardonnay and/or Pinot Noir made in Australia, France and South Africa. In the case of sparkling wines made using the traditional method these were classified and tasted according to dosage and ageing time on the lees. In many cases there was significant ageing on the lees giving wines great character and complexity. Sparkling wines made using the Charmat method were classified and tasted according to dosage. Most demonstrated a combination of great finesse with a fine mouthfeel and crisp acidity. This year saw a couple of Frizzantes make the 50 Greats. Quality was high – all of the Sparkling wines included in the competition have scored at least 90 points. Traditional method vintage production dominated the competition with some nice prices, most ranging from €6 to €35 Euros with several coming in at €40 and anything up to €145. Charmat method production wines range from €6.50 to €15. 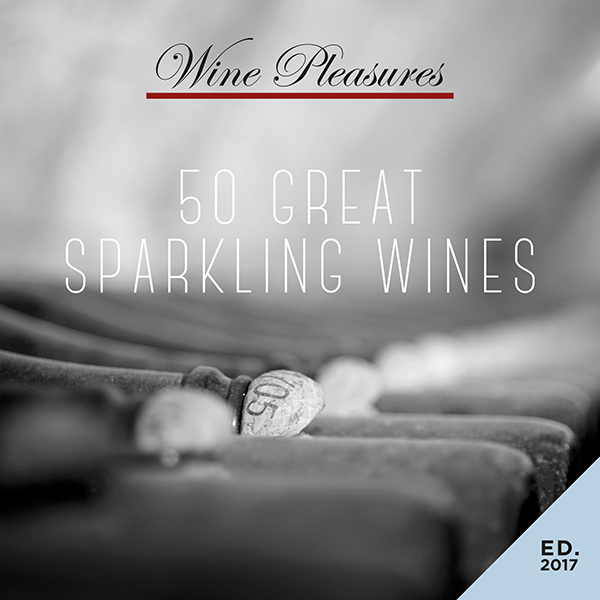 We hope that you enjoy this publication of 50 Great Sparkling Wines 2017 and that it encourages you to more deeply explore the world of sparkling wine both at home or when holidaying in an Old or New World wine region making golden bubbles! The printable version of the chosen publication will be sent to this email address. Please tick which publication/s you wish to order. If you choose Bank transfer or PayPal as your preferred method of payment then you will receive instructions on how to pay once the form is completed.